This form should only be used for general questions regarding Portland’s Distillery Row. If you have a question for a specific distillery please see the list of distilleries listed here with their unique contact information. Questions about a specific product, as well as donation requests should also be sent to the distilleries directly. 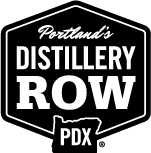 For Distillery Passport questions, please visit Proof PDX.